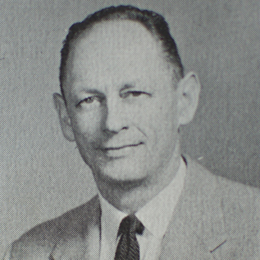 Mr. Redmann established the industrial design program at University of Bridgeport in about 1946, and taught and headed the program there for many years. He has been active in IDSA for many years, particularly in championing licensing or certification. He received IDSA Fellowship in 1965, carried over from Fellowship in ASID or IDI.